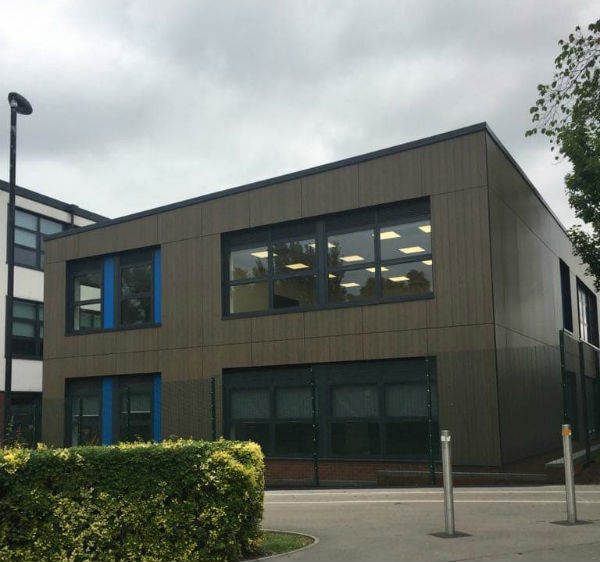 Kingsway Park High School is a mixed Foundation School that opened in September 2010 in the Kingsway area of Rochdale. 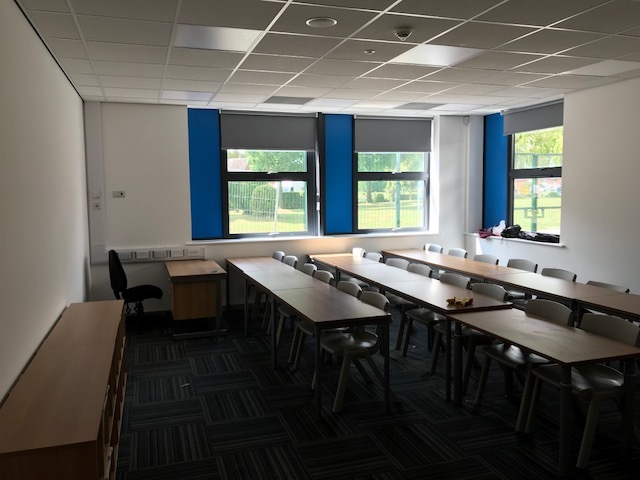 Due to the schools growth, last year Rosslee were appointed by Rochdale LEP to undertake the construction of a new build 2-story standalone classroom block providing 8 additional classrooms. 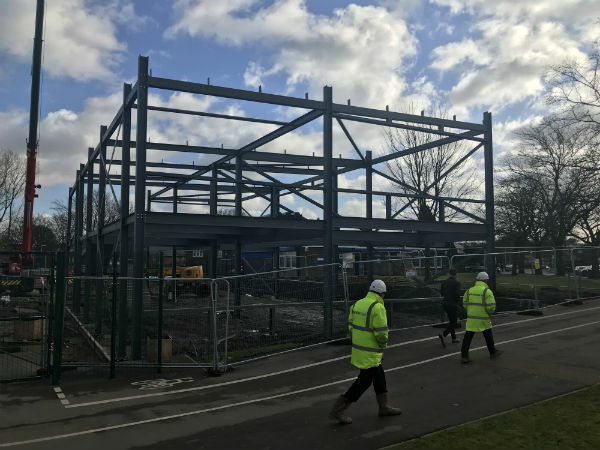 The design and build project involved construction of a new block with a steel frame and a bauder designed rubber membrane roof. The ground and first floors were constructed using traditional concrete slab with walls comprised of a lightweight SFS system. 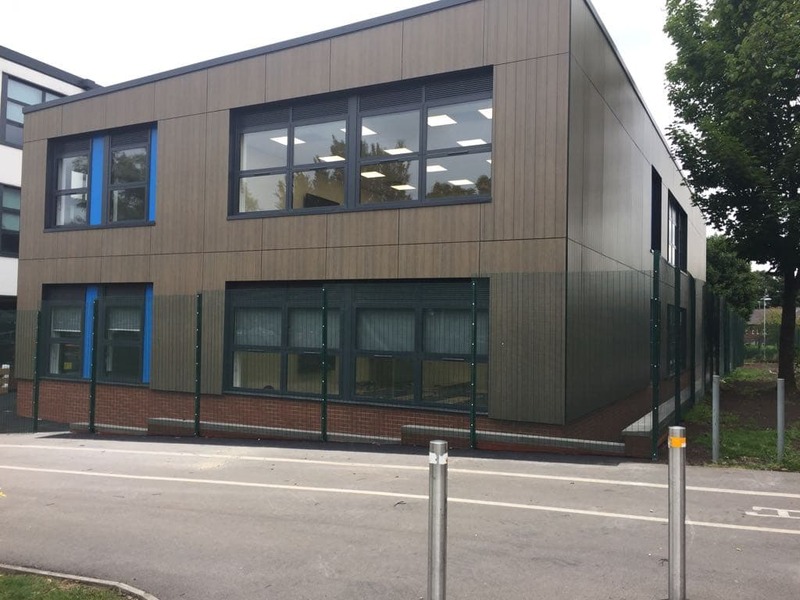 Externally, insulation was fixed using a top hat system with “helping hand” brackets and then fitted with Trespa cladding panels. 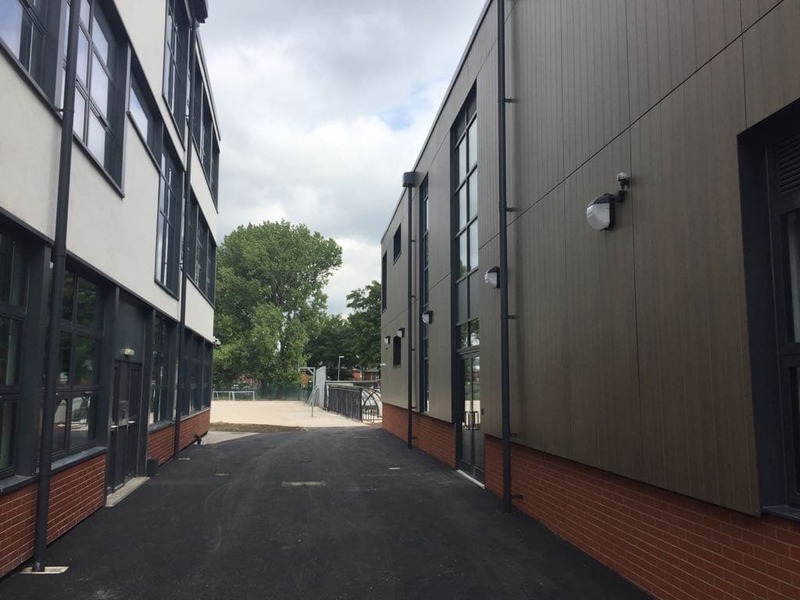 Highlights on this project include fitting aluminium 1 hour fire rated windows, installing an integrated plumbing system within the bathrooms and a ‘breathable buildings heated system’ throughout the building. 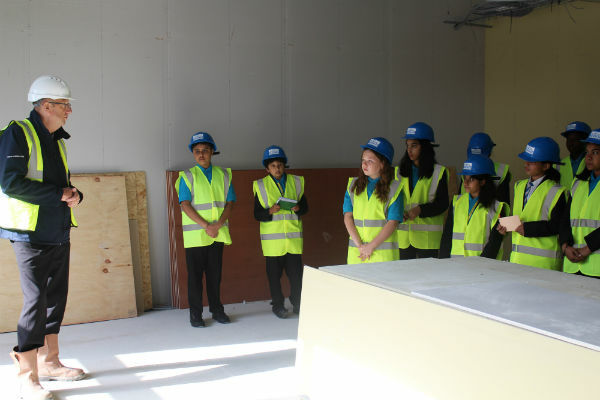 As part of Rosslee’s social value offer to Rochdale Council, a number of tours around the new school block were carried out by Rosslee Management for the school children showing various construction techniques and their benefits while conducting an open forum for discussion welcoming questions from the students. That they would be happy to work with us again and recommend us for future projects!